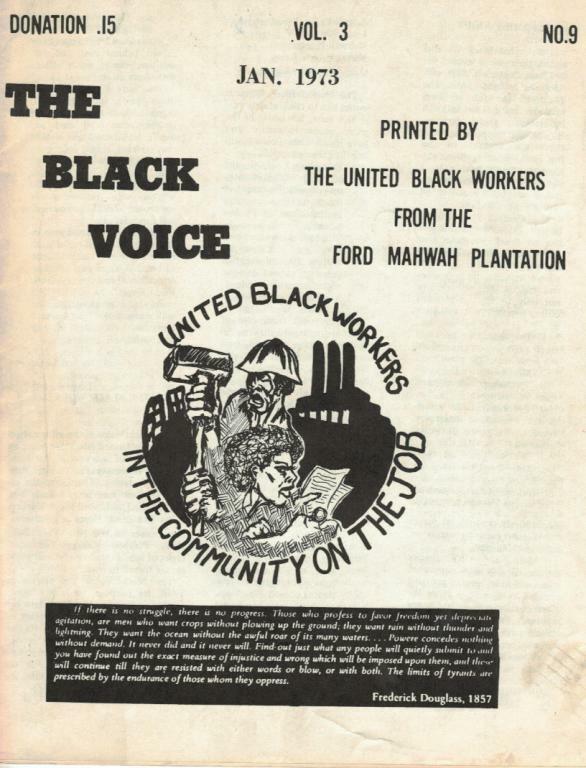 The Black Workers Voice was started in 1970. Its stated purpose was "to help educate, expose, inform, and even agitate our fellow workers out of a feeling of complacency and frustration. Its further purpose is to assist in dealing realistically with the many problems facing workers on the job, in the community and around the world."